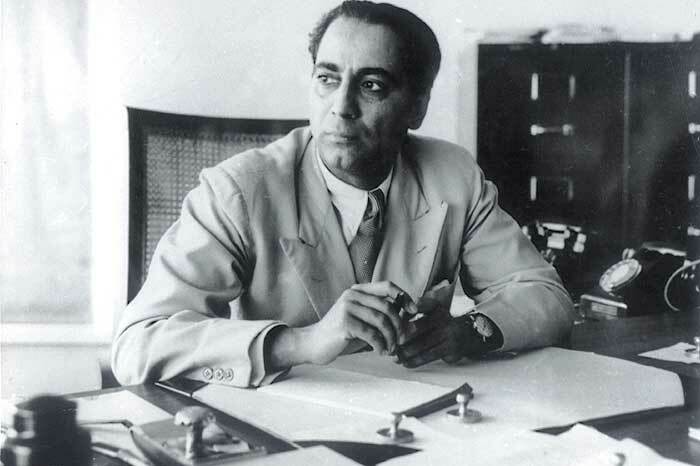 Homi Jehangir Bhabha was born in an aristocratic family in Bombay on October 30, 1909. As the son of a barrister he grew up in an environment where education held great importance. He passed the Senior Cambridge Examination when he was sixteen, and went to Cambridgeto attain a degree in Mechanical Engineering in Gonvile and Caius College. He was greatly influenced by his mathematics teacher, Paul Dirac, and was initiated into the fascinating world of mathematics and theoretical physics. Armed with a honours degree in 1930, he began research at the Cavendish Laboratories in Cambridge. His first paper was published in 1933 which was followed by many more. He received his PhD in 1935 and continued to stay in Cambridge until 1939.